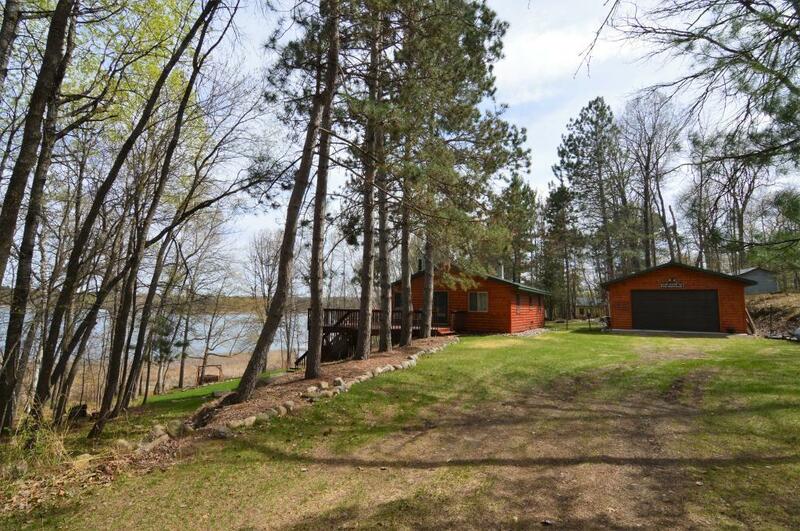 You can have it all here...acreage and lake shore on beautiful Clear Lake! 10.2 acres and 407 ft. of lake frontage! Charming log sided 3 Br/2 Bath home was remodeled in 2003 & 2013 and 2 car garage built in 2013. Large deck and 13x17 screened in porch overlooks Clear Lake. Home features natural wood interiors, walkout basement, 2 zone water heat, new windows, new roof, new aluminum dock, storage shed and more! Great location and private setting!